Do you have lots of tiny scraps? 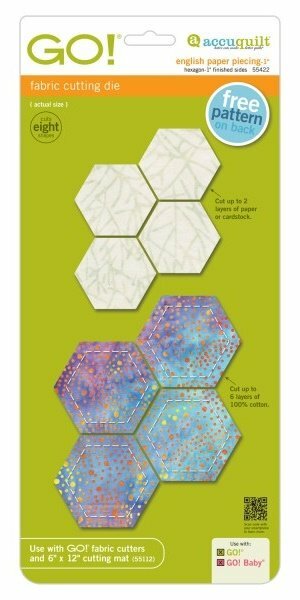 Bust through them with tiny hexies! English Paper Piecing has been keeping quilters busy for centuries—especially at this scale. This die board is designed to easily cut both fabric and paper templates for English Paper Piecing. Fabric die blades fits pre-cut 5" squares.